Posted on June 13, 2015 by ladyoftheabyssPosted in Pagan Craft Making, The SabbatsTagged Altar, Magic, Magick. Winter Solstice Crafts, Pagan, Patti Wigington, Ritual, Wicca, Winter solstice, Witch, Witchcraft, Yule, Yule Crafts, Yule log, Yuletide. Altar: Set with a red cloth, and unlit red candles, and symbols of Mother and Father. Offerings: Written words of thanks for one’s childhood. Be a parental mentor to someone young. Daily Meal: Soups or stews, and bread. As we entered the world. You merely led by example. Into our lives when it was needed. And we will pass it on. Posted on February 13, 2014 by ladyoftheabyssPosted in Articles, Daily PostsTagged Altar, Candle, God, Home and Garden, Imbolc, Parentalia, Scented, Shopping. Posted on February 12, 2014 by ladyoftheabyssPosted in Articles, Daily Posts, Prayers/invocationsTagged Altar, Aromatherapy, Candle, Frankincense, Health, Incense, Perpetual motion, Shed light, Shopping. Timing: Whenever necessary preferably before birth pains start. Set up a little altar or sacred space in a place where it can be left until the birth is completed. Arrange the statues in the center at the rear of this space. Gently brush the cast off fur against your cheeks, thinking of Bast’s love and goodness. Put the fur into the bag and leave it by the statue on the altar. Leave it there until the birth is over. Whenever you feel or dread of the coming birth, open the little bag and breathe you fears gently into it. Posted on February 10, 2014 by ladyoftheabyssPosted in Fertility SpellsTagged Altar, Bast, Bastet, Cat, Egypt, Health, Incense, Statue. and offer thanks to you for what you have given me. I am a priestess of your path and I see with your eyes. “As the Maiden is ripe with potential, so is my life. As the Mother gives birth, so do my thoughts. Place the kernels in the center of the core-pentagram and melt wax from your candle to cover them. Replace the top of the apple while the wax is till warm. Let the apple sit on your altar for 3 days and nights. Remove wax token and bury apple. The wax token can remain on your altar for as long as you wish. 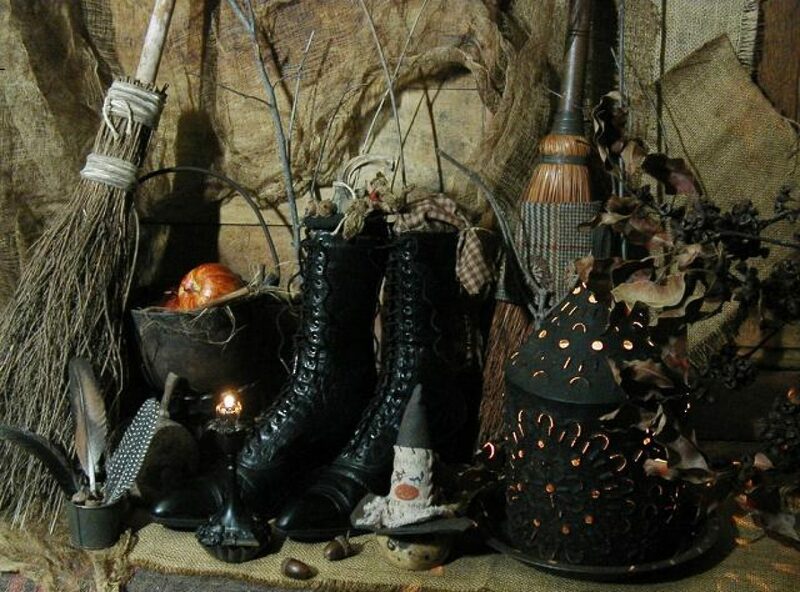 Posted on February 8, 2014 by ladyoftheabyssPosted in Articles, Daily Posts, Miscellaneous Spells, Ritual WorkingTagged Altar, Crone, God, Goddess, Lady, Maiden, Samhain, Wicca. Altar: Spread a black cloth, and lay it with photographs, paintings, and other depictions of our ancestors. Add also symbols of their old tools, and statues of ancestral deities, a bowl of seeds for the future garden, pots of soil, a pitcher of water, and many candles of black and white and grey. Offerings: Things they would have liked to eat, drink, smoke, or smell. Tend a cemetery and clean up the graves. Daily Meal: Food from an earlier era, using authentic recipes. That no one starve this winter. Steal the food I have struggled for. Bring forth a hundred more. Posted on February 7, 2014 by ladyoftheabyssPosted in Articles, Daily PostsTagged Altar, Ancestor, Ancestors, Candle, Seed, Soil, Sun. Many practitioners will not enter or use their sacred space unless they are cloaked in a special garment created by their own hands and consecrated for spiritual use. This robe is unique and special to each person who desires to honor their beliefs in this fashion. A cloak can be consecrated for specific purposes. So you can have more than one cloak, depending on what type of ritual you will be conducting in your sacred space.Self clothing isn’t the only garments you want to consider for your space. An altar cloth is also called for. You can use more than one cloth in varying colors and patterns, depending on the work at hand. But consider the use of the cloth before you cover the altar. If you are going to be mixing herbs, or creating spiritual objects such as handmade candles, smudge sticks or spiritual tools, then you want the cloth to be inexpensive and practical. If however, you are conducting a ritual to celebrate a holiday, then you might use a more formal cloth, anything from crushed velvet to black satin. The cloth should reflect your personality, your beliefs and one that you feel comfortable with using. A male Witch for instance, may not use Victorian lace when casting spells for compassion, healing or love. Rather he might use something that strikes an essence of romance in his heart such as red silk. Whatever you chose to use, the cloth should be large enough to cover the entire altar and fit the work at hand. 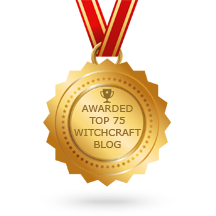 Posted on February 4, 2014 by ladyoftheabyssPosted in Articles, Daily Posts, The Witch, The Witch's ToolsTagged Aaron, Altar, Consecration, Esoteric and Occult, Moses, Religion and Spirituality, Shopping, Wicca. flower, or perhaps some snow in a crystal container can be placed on the altar. your life blossoming with creativity, with renewed energy and strength. Posted on January 28, 2014 by ladyoftheabyssPosted in Articles, Daily Posts, The SabbatsTagged Altar, Brigid, Candle, Earth, Goddess, Imbolc, Liturgical year, Mother goddess.